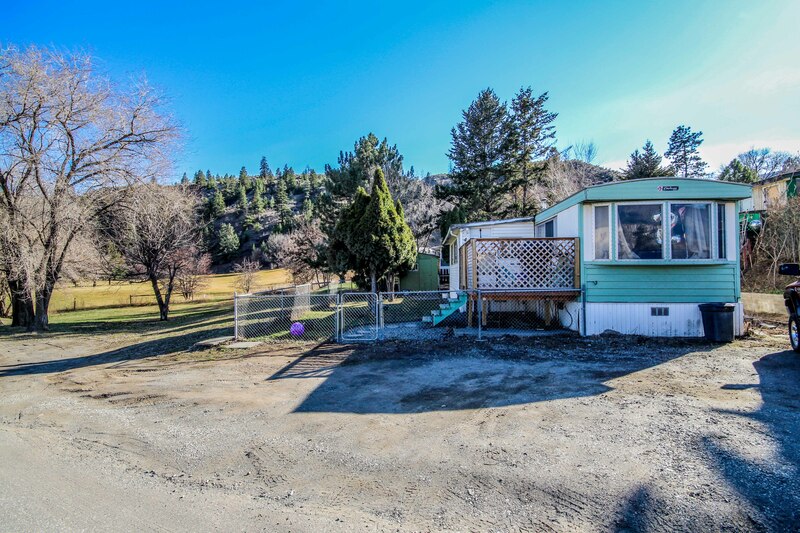 New Listing: 4-4395 Trans Canada Highway, Dallas, Kamloops, BC $69,900. Lovely two bedroom home with beautiful views of the northern hills and lots of parking. 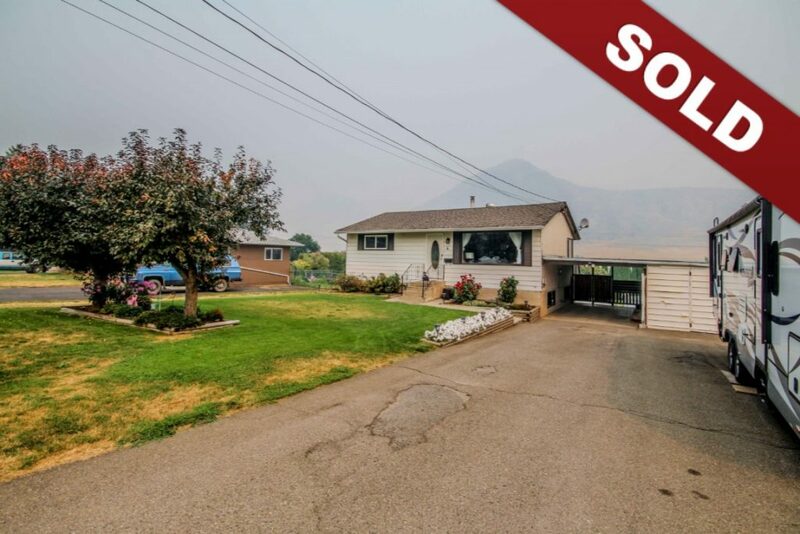 This home is situated on a spacious corner lot beside Crown Land and Pineridge Golf Course and is located only 10 minutes from downtown Kamloops with easy access to the highway. There is a closed in porch/mudroom addition with access into the open kitchen and living area with cozy gas fireplace. The fully fenced yard is great for kids or dogs. Central air conditioning, storage shed and all appliances included. This home is perfect for first time buyers or downsizers. Pets and rentals allowed with park approval. Day before notice for showings. 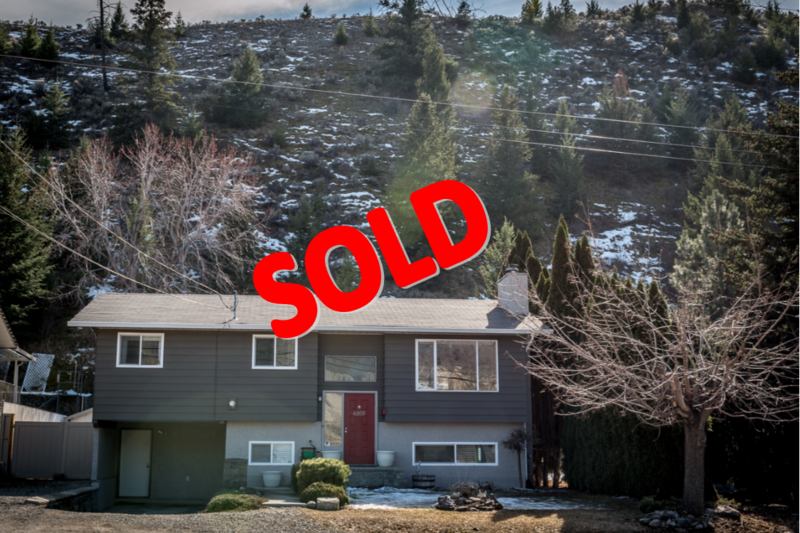 New Listing: 6105 Dallas Drive, Dallas, Kamloops, BC $479,000. This home will not disappoint! With tasteful updates and well cared for, this 4 bedroom, 2 bathroom cathedral style entry home is perfect for a family. 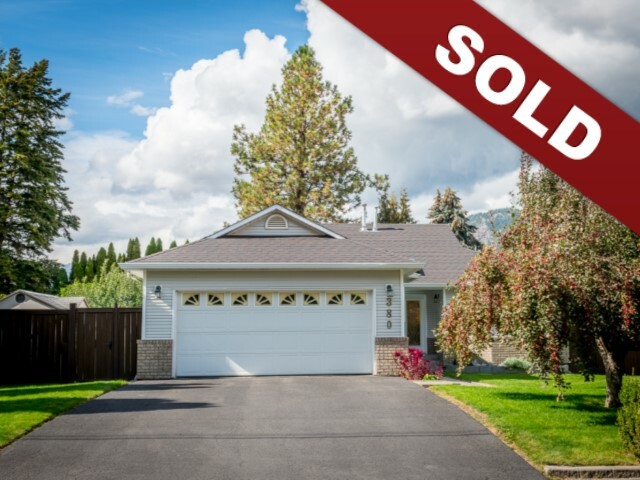 The main floor features a bright living room providing exceptional unobstructed mountain views, gorgeous updated kitchen with impressive island, granite countertops, tiled backsplash, stainless steel appliances and dining area with direct access to the covered deck. There are 3 nice size bedrooms on the main floor, 5 piece bathroom that acts as a cheater ensuite. The lower level features a spacious family room with cozy gas fireplace, bedroom, laundry room, 3 piece bathroom, large storage area for your seasonal gear and more. Recent updates include; windows(2011), flooring, interior & exterior paint, appliances(2014), HWT(2015), central a/c(2014) & more. The yard is fully fenced, easy to maintain and backs onto the hillside. There’s plenty of parking for your RV and boat. Close to shopping, transit, golf, hiking trails and elementary school. This home is a must see and some notice is appreciated. New Listing: 4 Kelso Crescent, Dallas, Kamloops, BC $389,000.Cute Dallas home with large detached shop and very spacious yard. The main floor features a fairly open floor plan, two bedrooms and a full 4-Piece bathroom. The basement level has an additional bedroom, a two-piece bathroom that’s ready for your updating ideas, a large family room, an additional Den space and laundry room. There is access to the backyard from the basement level and off the main floor. In-law suite potential. There is a large detached shop in the yard with separate driveway access. There is a single attached carport with extra storage as well. RV parking, updated flooring and some updated doors and windows.